Whether you prefer it crispy and browned or just cooked and still a little soft and chewy, bacon can be messy to cook on the stove. 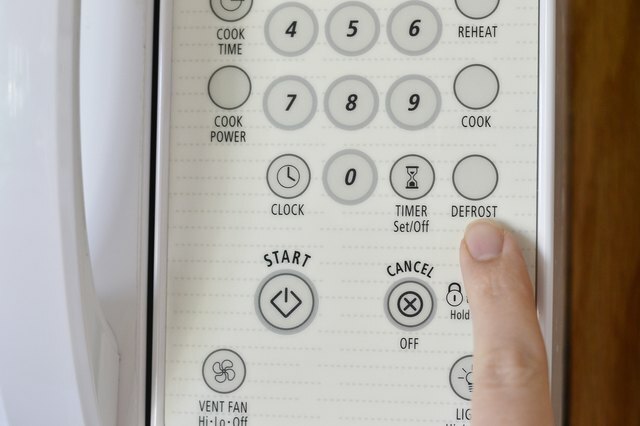 Microwave ovens can cook perfectly crispy bacon with little cleanup, but make sure you have a lot of paper towels on hand. Cooking bacon in the microwave is quick and requires little cleanup. It also keeps your stove top free -- helpful if you are cooking a large meal -- and you can easily cook bacon to the perfect degree of doneness with little attention needed. 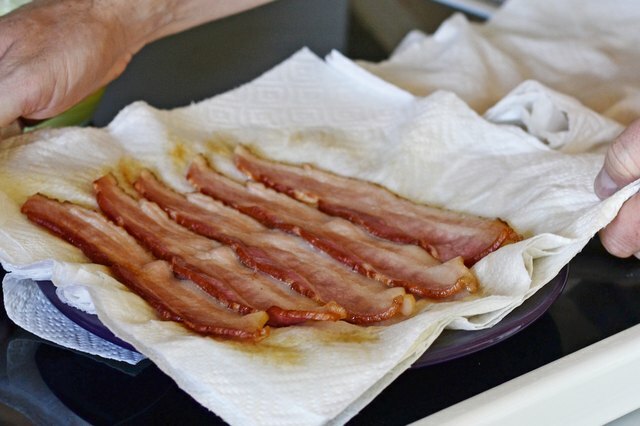 Microwaving, however, doesn't allow you to reserve the bacon fat that many home cooks prize, as the grease is absorbed by paper towels during cooking. 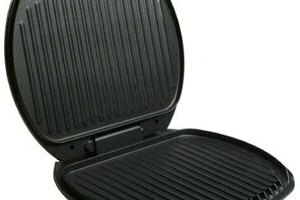 A microwave-specific tray to cook bacon typically includes a cover and a rack for draining away the oil. Paper towels and a microwave-safe plate work just as well. Cook up to a pound of bacon at a time using this method, or cook the meat in batches. 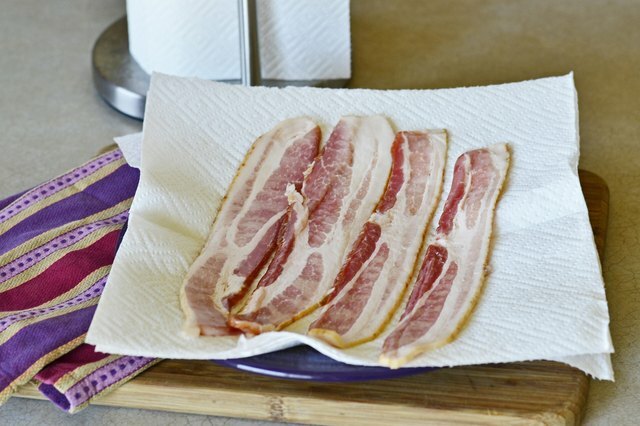 Arrange three to four pieces of paper towel on a large plate, stacked on top of one another, then lay the bacon flat on top. Do not overlap the pieces, although the pieces can touch along the sides. For more layers, sandwich the layers of bacon between multiple layers of paper towel. 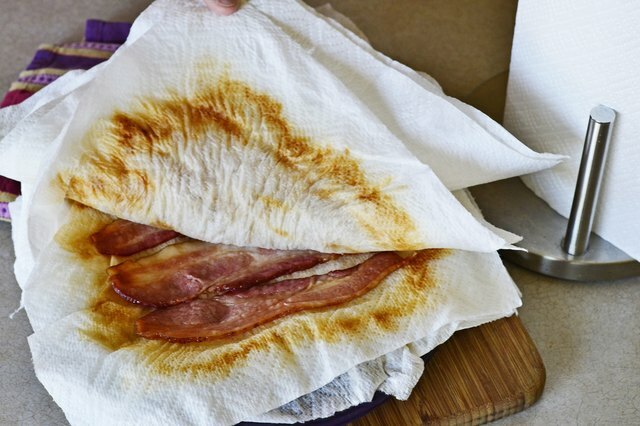 Cover the final layer of bacon with just two paper towels. For crispy, browned bacon, cook medium-thick bacon on high for a minute a slice. For thin slices, cook on high for 40 seconds, and for thick pieces of bacon, cook on high for 80 seconds per slice. 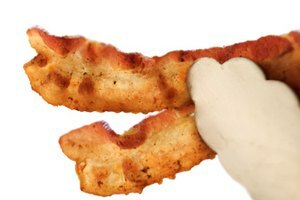 The longer the cooking time, the crispier the bacon will be. Remember that the bacon will continue to cook and crisp after it has been cooked, so do not worry if it is not perfectly crisp when you remove it from the microwave. 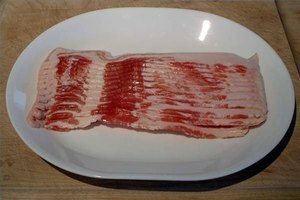 For large batches, rearrange the layers halfway through the cooking process, moving the bottom layer of bacon to the top. 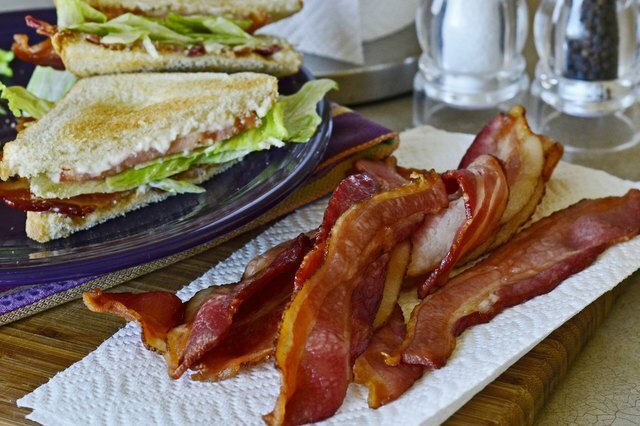 For less crisp bacon, cook on high for 40 seconds per slice for medium-thick bacon, and 30 and 60 seconds for thin and thick slices respectively. Frozen bacon will take longer to cook in the microwave. Arrange the bacon as you would thawed bacon, but with an extra two sheets of paper towel between the layers. Add an extra 15 seconds of cooking time for each thickness of bacon to achieve crispy bacon. Alternatively, defrost the bacon on the defrost setting before cooking. 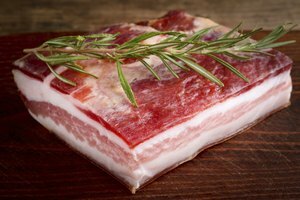 Place the bacon on a microwave-safe plate and defrost it on the high setting for a minute, before rotating the bacon and defrosting for another minute. Continue rotating and defrosting until the bacon is thawed completely, roughly five minutes for a 1-pound stack of bacon. Cook the bacon immediately after thawing in the microwave for food safety.